So I think I mentioned a few weeks ago that I had purchased a new modification for the 9A that allows me to slide the canopy back another 8-10". Well I got a chance to install that modification this week. It really works well! 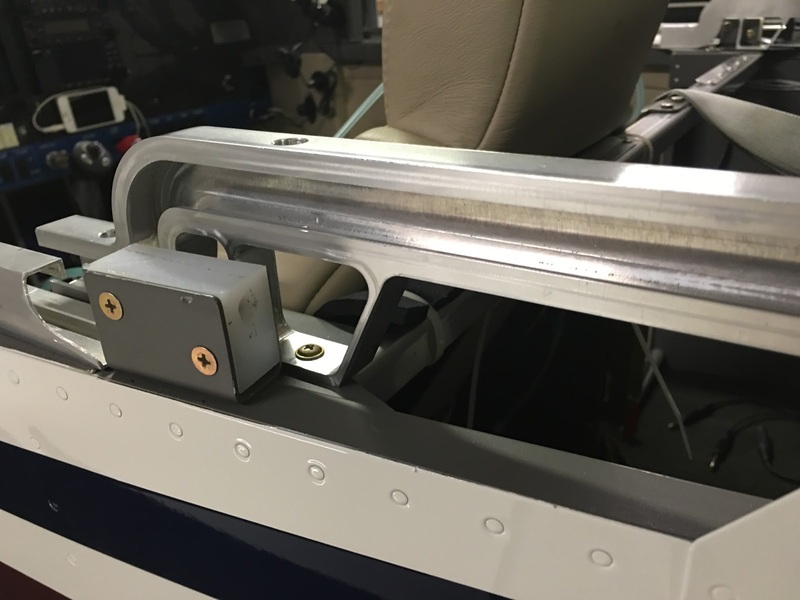 I have the "Almost a 14" modification in my airplane as well which allows the seats to recline another 4" or so but it also reorganizes some of the parts that this slider extension modification needs to work with. Fortunately everything went together well as you can see in the pictures below. Travis and I flew over to Montana to have lunch with Dad this week and since I was not thinking I didn't get any pictures. 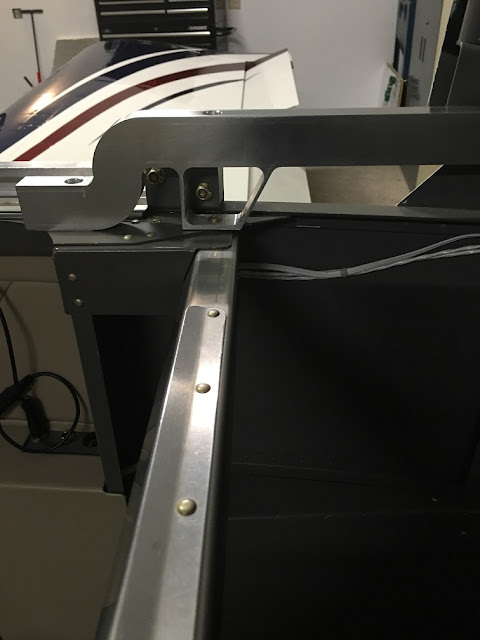 We flew over IFR and ran into some electrical problems with the airplane (nothing that affected the safety of the flight) so I have some work ahead of me troubleshooting the issue.